Okay, so we’ve got a little irony right off the bat. Striving to get the best results in restorative yoga? As in powering up your dreaming or asking your bubble bath to multi-task? Restorative yoga is, after all, the art of undoing. But let’s be honest, that’s not so easy in a full-throttle culture that encourages us to make the most of all things. Here are some simple suggestions to calm the impulse to accomplish, and instead just be. You might find this will lead you quietly toward the peace and restoration your body really needs. Arrive a little early and share with your teacher anything you’re dealing with physically or energetically. If you’ve recently had a medical procedure, that’s especially important to communicate. Simply mentioning the chronic ache in your low back, or the fact that you overdid it the day before at the gym, can also be helpful. We teachers are grateful when you take the time to let us know! We can then spend a couple of minutes together before class to customize pose modifications and prop configurations, if necessary, to make you feel supported and safe. Speaking of props, restorative yoga poses typically involve a lot of them. Props such as bolsters, blankets, blocks, straps, sandbags and eye pillows are all available at the Studio for you to use as you see fit. They’re meant to support you fully as you sink into comfortable shapes for long, luxurious amounts of time. They allow your physical body, and then all of your other layers, to release tension habits and holding patterns. Don’t get overwhelmed by the amount of props you may accumulate, or the blanket folding, bolster stacking or other ways to assemble and rearrange your props as class moves along. You can think of it as part of a self-care ritual and know that the more restorative yoga you practice, the more familiar the props will become. You’ll start to determine a better feel for how they can best support you. Be really and truly comfortable. In other styles of yoga, there may be a benefit to sticking with something that feels challenging or even uncomfortable. However, this is not the case with restorative yoga. The whole idea is to allow your nervous system, which probably spends much of its time on high alert, to shift into deep relaxation mode. It can’t do that if you’re enduring a sensation that’s too strong. Tuck a bolster under the place that’s feeling overstretched. Cover your body with a blanket. Don’t worry about fidgeting, adjusting and re-adjusting the props. Don’t worry about adding or subtracting layers of clothing or coming out of a pose entirely. Take your time and experiment with props to settle into each pose so it feels nurturing and restful. Look to your instructor if a pose setup is unclear. You may want to modify a pose but feel unsure about how to approach it. Maybe you need an extra prop. Don’t hesitate to let your teacher know so that they can assist you during your practice. Our main job, especially in restorative yoga, is to support you, so don’t be shy about inviting us to do that. This is the most overused cliché in the yoga world, but this “letting go” business you hear about so often has its roots in restorative yoga. As we gradually drop the need to constantly be busy, it offers the opportunity to enjoy sinking into rest, support and deep relaxation. Our breathing, blood pressure and heart rate slow, releasing stress and tension. We then start to replenish, repair and heal on every level. Restorative classes take practice and gentle intention. They’re often a lot easier with group support and the guidance of a teacher, which is why this type of yoga can be so magical. Try a restorative class. Your body will thank you for it. See our class schedule for upcoming restorative yoga classes. Sign up for AYC’s holiday class challenge! Take 10 restorative yoga classes in December and receive a free eye pillow! The word “restorative” must be in the name of the class for it to count. The yoga of the ancients was designed to work with bodies that lived and grew very differently from how our modern bodies live and grow. Dwelling in caves, squatting constantly, the ancients did not spend any time in chairs. In today’s Western society we have a culture that revolves around chair sitting. We are taught to sit to learn in school. We sit to work. We sit to eat, to drive, to relax — in fact, you’re probably sitting right now to read this. The truth is that your bones have grown while you were sitting. Your joints were molded by the way you sat, and now the majority of alignment issues, chronic pain, injury, and disease can be related back to sitting. This is the cornerstone upon which the Kaiut Yoga Method stands. 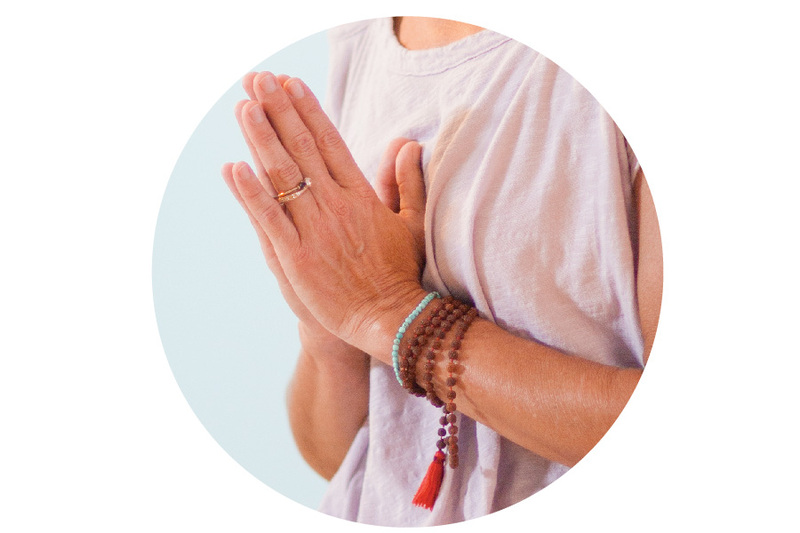 In Kaiut yoga, we hold poses and utilize finely directed micro-engagements to release adhesions in the connective tissue, which both strengthens and opens the joints. This burgeoning modality is ready to take the world by storm, and Tucker Shelton is the only Kaiut yoga instructor in Asheville — and one of just two in North Carolina! Join Tucker’s Kaiut yoga class and experience the next evolution of yoga! Look for Tucker’s Kaiut class on the AYC class schedule under the title “Therapeutic Yin” on Wednesdays 12:30-1:45 pm. You can also get a deliciously deep dive into Kaiut by registering for Tucker’s Joint and Fascial Tissue Therapeutics Workshop on Thursday, September 13, 5:45-7:45 pm. Athletes and people who lead an active lifestyle are no strangers to muscle tension and soreness — especially if that lifestyle includes kayaking, climbing, biking, or running. While these recreational activities will keep you fit in their own right, supplementing your current hobbies with yoga can yield a wide range of benefits. By practicing yoga, you’re not only reducing your risk of injury by keeping your muscles and joints limber, you can also improve your performance as a runner, paddler, biker, or even weight lifter. To help you reap the rewards of yoga, we’ve developed a number of yoga workshops at Asheville Yoga Center specifically for those with active interests. A couple of examples include our three-hour Yoga for Paddlers workshop hosted by renowned kayaker Anna Levesque, who instructs on proper alignment and poses to target the muscles used (and underused) in paddle sports. Another is a four-week Yoga for Runners series, where AYC instructor Sierra Hollister uses yoga to restore symmetry and increase flexibility to help runners improve their performance. We won’t go into a long-winded explanation of ALL the benefits of yoga (spoiler: there are a lot), but here are four of our favorite ways that yoga can help people who love to live an active life. If you’re an avid runner or athlete, it’s no secret that you can reduce your risk of injury through stretching. But by adding Yin yoga to your weekly routine, you’ll bring mobility and increased flexibility to all of your muscles. Yin yoga involves holding passive floor poses for extended periods of time to reap the maximum benefits of the position. Poses can be held for up to 5 minutes, sometimes longer, and the poses focus on the connective tissues of the body. This provides balance to the muscles underused in your active lifestyle, and supports the health of the muscles you’re activating during your running or paddling. In yoga, much emphasis is placed on the breath: as you move through each position, you take long, deep breaths to send oxygen-rich blood flowing to all corners of your body. These breathing techniques can help maintain muscle elasticity and improve the recovery time of your sore or injured muscles. The stretches you receive through yoga practice also expedite recovery time: as you gently stretch your muscles during your yoga practice, you allow them to relax and reduce inflammation where it’s present. Virtually any style of yoga will offer increased strength when practiced regularly, but by adding POWER to your yoga you can really tone your body from head to toes. “Power” yoga is largely inspired by Ashtanga yoga, a style that incorporates synchronized breathing with each movement to produce flowing patterns of motion and energy. Power flows are often considered the “athletic” style of yoga, as the rigorous vinyasa flow stokes an inner fire to burn calories and build strength. By incorporating a weekly power flow yoga class, you’ll more than likely find that your performance in running, kayaking, climbing, or other active hobby improves significantly. Not to mention the value of building up the muscles you don’t use as often. Yoga offers an opportunity to quiet the mind and listen to the body as you gently move through stretches and poses. By engaging with your muscles in a new way — whether it’s through sun salutations or gentle restorative yin yoga — you’ll be able to feel the corners of your body that have been holding tension. The more you practice, the more in-tune with your body you’ll become, and the easier it will be to notice where you hold tension and how to reverse the chronic fatigue and soreness you experience from running, paddling, climbing, etc. Yoga teaches you to better utilize your breath, which in turn allows your body to more effectively use oxygen. This alone is a key component to improved endurance, because the body uses oxygen to produce energy during exercise. By focusing on the breath during active or restorative yoga practice, you are conditioning your lungs and respiratory systems for aerobic sports such as running or paddling. In addition to this, yoga breathing creates space in the body, allowing more space for oxygen-rich blood to flow. So what are you waiting for? Even if you only have 20 minutes a day to dedicate to your yoga practice, make it happen. If you’re new to yoga and need instruction, Asheville Yoga Center offers a variety of beginner-friendly yoga classes every day. Meditation accounts for four of the eight limbs of yoga, and is an important aspect of any yogi’s practice. To meditate is to bring yourself into a state of thoughtful awareness, one that allows you to look inward and focus on yourself. Meditating can begin by focusing on your breath, allowing you to be present in the moment. The benefits of yoga and meditating are numerous, and can help you see the world in a more positive light. It can be a challenge at first to meditate, and some may find it intimidating. Whether you meditate often or you’re new to meditation, this 20-minute audio will help guide you through your practice. Find a comfortable, quiet place before you begin to turn your attention inward. By adding this 20-minute break to your day, you can help reduce your stress and become more present in your day-to-day life. Richard Fabio is certified with Yoga Alliance through the Asheville Yoga Center Teacher Training program. During the training Richard really impressed Stephanie Keach (the program director and head mama bear of the yoga center) with his natural talent. He is fully committed to yoga as a way of being, taking yoga well beyond the mat. His early yogic path began with sitting meditation. While his mind approached stillness, he struggled with chronic lower back and neck pain. Richard remembers barely reaching his hands past his knees in a forward fold. He quickly realized the importance of a strong physical practice for the process of healing. Richard is now a firm believer in the importance of proper biomechanics to restore the body to wellness. In Richard’s classes, students benefit from fun dynamic postures combined with insights from his meditation practice. Richard would like to honor and thank his many teachers and the beautiful lessons that have shaped his path, especially his dear friend and guru Gary Weber. Do you feel great? Alive and vital? If not, consider the role that stress might be playing in your life. create the sensation of stress in our bodies and minds. responds to challenge. This one simple shift could save your life. that response is by moving our bodies. minutes of this will shift your entire perspective and you will begin to feel better right away. Spring is the ideal season for cleansing. In Traditional Chinese Medicine, spring is related to the wood element, which tends the liver and gall bladder. These organs focus on the cleansing process: secretion and detoxification. As things get moving in nature, our bodies need to get moving too in order to avoid winter stagnation that manifests in digestive disrupts, respiratory congestion or headaches. Supporting detoxification, drainage and circulation with food choices and movement can help kick off our spring cleanse. Any cleansing is good cleansing. At the minimum, avoiding stimulants like coffee, sugar, alcohol, and other simple carbs help to reduce cortisol production and lessen the body’s response and “crash” pattern. This sugar roller coaster can leave one feeling heavy or fatigued. The goal of a spring cleanse is to lighten that load. A plant-based, whole foods diet will allow your body to focus on cleansing and not converting sugar or digesting more burly foods, like meat. More intense cleanses include juice fasts and should be conducted with the support of health practitioner. Wild foods that grow in your yard are nature’s superfoods that aid in spring detoxification. Many can be added to salads or made into a pesto like the recipe below. 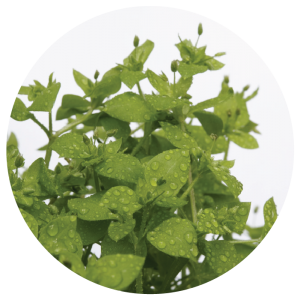 Some of our other favorites include: Chickweed, Dandelion, Chickory, Plantain and Watercress. A spring yoga practice that focuses on compressions and twists in the abdominal region will support cleansing. Cardiovascular exercise will assist detoxification, allowing for better secretion and elimination. In addition, restorative poses can help integrate your cleanse, while providing gentle support to a rigorous fast. Whether you suffer from insomnia, or you just want to relax for a few minutes before sleep, bedtime yoga can help you have a more restful night’s sleep. Taking just a few minutes in bed before you fall asleep to do these simple yoga poses may help you fall asleep faster, sleep deeper, and stay asleep longer. As you climb into bed for the night, take just a few minutes before you do these simple poses, to bring your focus to your breathing. Feel the breath moving in and out of your nose, as your chest and abdomen rise and fall. By turning your attention to your breath, you give the mind a chance to relax and to let go of all the thoughts that are streaming through it all day. Continue to focus on your breath for a minute or two before moving into the first pose. When you feel ready, begin your in-bed yoga series with Janu Sirsasana (Head-to-Knee Pose). Straighten your left leg and bend your right knee, placing your right foot on the inside of your left leg. The right leg and knee should comfortably release into the bed. If not, support your right knee with a folded blanket or pillow underneath it. Hinging at the hips, fold forward as you reach your hands towards your left foot. Remember to breathe into the stretch and not to pull yourself deeper into the stretch. Stay here for three to five breaths, and as you are ready, inhale as you straighten back up. Straighten your right leg and bend your left leg, placing your left foot on the inside of your right leg. Repeat the same steps on this side. Next, move from sitting to lying on your back for Supta Baddha Konasana (Reclining Bound Angle Pose). Once you are lying down, bend both your knees and bring the soles of your feet together. Let your knees drop open. Lengthen your spine and along the bed and then rest your hands, palms face up, along either side of your body. Breathe here for 2-5 minutes. As you are ready to come out of this pose, straighten both your legs. Next, preparing yourself for Supta Matsyendrasana (Reclined twist), bend your legs and hug them both into your chest. Extend only your right leg along the bed, while keeping the left leg bent into the chest. As you are ready, drop your left knee across your body to the right. Extend your left arm straight out, so that your spine is in a twist. Breathe here for three to five complete breaths. When you are ready, bring your left knee back across your body and bring your left leg up to meet the right as you once again hug your knees into your chest. Lengthen your left leg along the bed and repeat on the opposite side. Next, move into Balasana (Child’s Pose). Coming onto your hands and knees, spread your knees apart wide and bring your big toes together. Release your backside towards your feet and bring your belly to rest in between your thighs, with your forehead resting on the bed. You can then either extend your arms straight out in front of you, along the bed, with your palms face down, or you can bring the arms back along the sides of the thighs with the palms facing up. Stay here for 2-5 minutes. Finally, come to rest on your back in Savasana (Corpse Pose). Lying on your back with your arms and legs naturally falling open, you can begin a few rounds of left nostril breathing. Place your index and middle finger on your forehead, between your eyes, and use your thumb to close the right nostril. Breathe in and out of the left nostril for several breaths to bring a sense of calmness and relaxation. Follow this simple sequence of poses whenever you climb into bed – a more restful night’s sleep is just a few moments away!